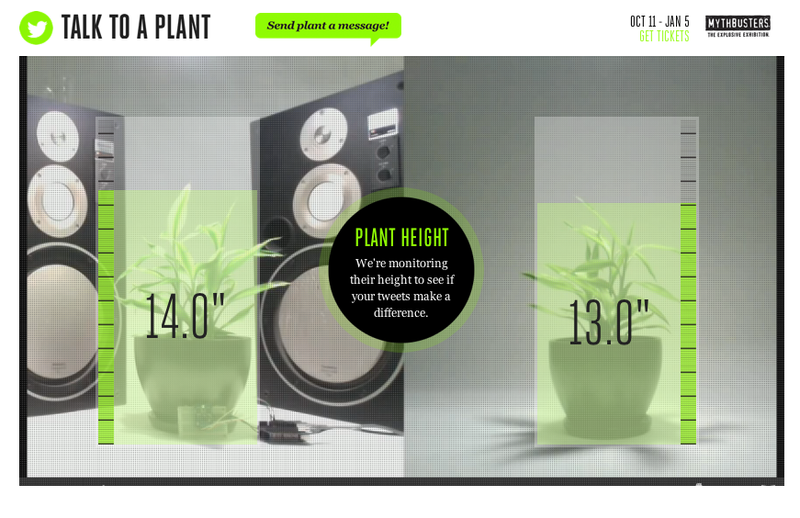 Myth: Talking to plants help them grow. The minds behind the TV show MythBusters, bring a new 'explosive exhibition' hosted at the Denver Museum of Nature & Science. 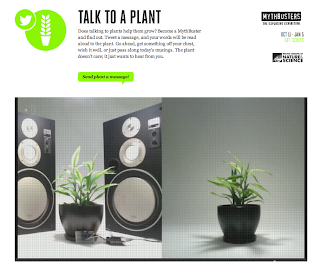 Visitors can become MythBusters through hand-on experiments at the exhibit. 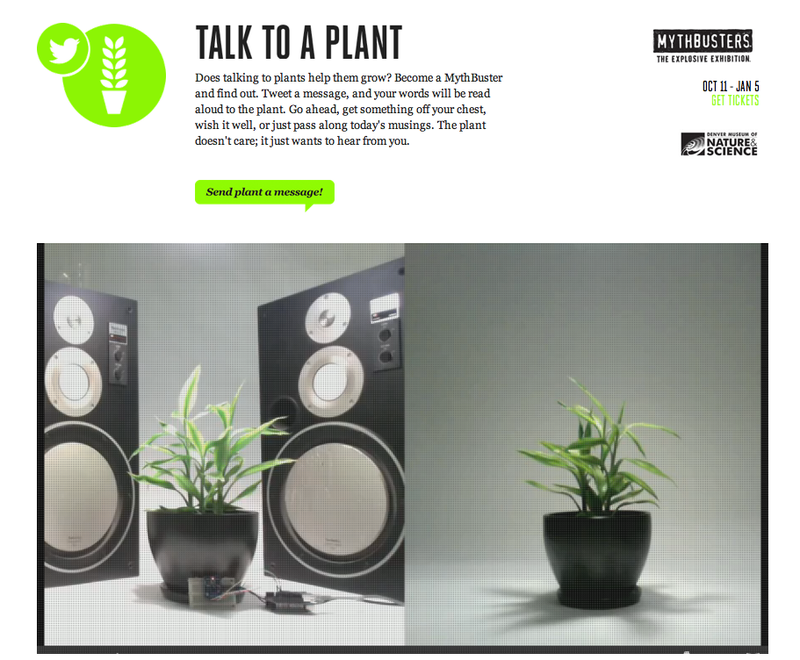 For those of you who can’t visit, Carmichael Lynch has created an interactive website to help promote exhibit where you can help confirm or bust the above plant myth. 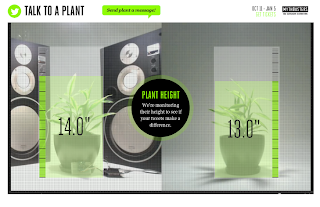 To participate, send a tweet and it will be read aloud to one plant, while the other plant sits in silence. Start talking. Some of the tips you mention, I have read before but some excellent new ideas is this. Mostly i only check the web development, web designing and app development blog only but prefer to have all round knowledge. I am a web developer in Yewtek Solutions wanted to improve my knowledge. It is a chandigarh base web development company. Yewtek fullfill need of website in chandigarh. Regarding to this post, nice way is defined.